This Tetra twin brushed silver tilt GU10 recessed boxed downlight in anodised aluminium is a high quaility adjustable fitting, with an easy fit clip-in lamp system that allows you to change it in seconds. 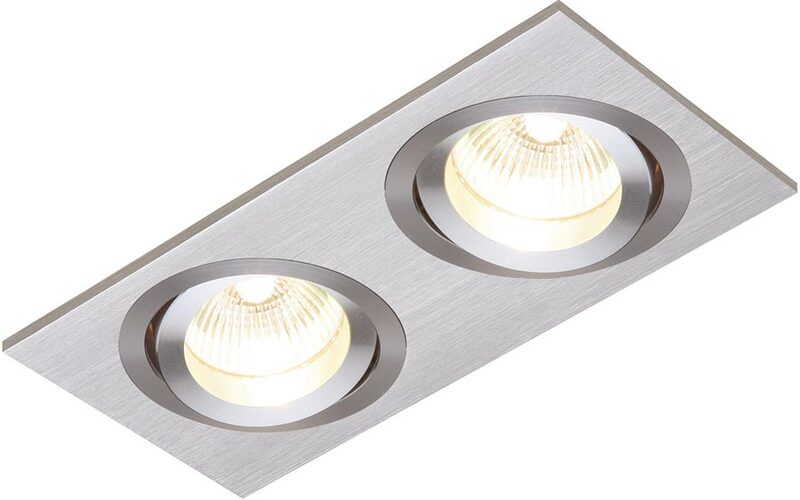 The lamp heads feature 30° of tilt allowing adjustment. Ideal for use with a LED GU10 reflector lamps (not supplied). Minimum void depth 150mm, cut-out 80 x 165mm. Double insulated, no earth required.